It is real hard to comment at what point the testing should be denoted as enough testing. It’s even more difficult to predict that the product is defect free post your deliberate testing attempts. However, RBT has proven a way to grab optimum consequences on the testing results. Being in the testing team on any complex project, you must brainstorm within all the relevant stakeholders while asking the WH questions. WHEN is the right time to implement RBT on your project? WHICH all critical business scenarios, modules that need to be attended on priority? WHAT all steps/approaches that you would like to overlay to succeed? WHERE would you focus to find more critical defects? WHO you are while testing the application? WHY team harmony is very essential while implementing RBT on the project? HOW would you determine the success of your RBT efforts on the project? Do you anticipate any possible situation/s on your project/s from the list below? If yes – your project is a right candidate and for sure, it’s high time that you choose implementing RBT to enhance project success and expect better outcomes. You may want to grab the list of modules, functions that need to be considered as a top priority testing item while treating them as risks. You must spend enough time for this phase of RBT implementation on your project. You identify business scenarios where the failure of modules; functions become a show stopper & a big loss on the business front. You take a note of frequently and heavily used areas of the application under test. You may want to beat the complex areas of your system. The entire testing team needs to be in war room to streamline the RBT approach once all the prioritised items have been identified. Identify the probability of event occurrence and its impact to allocate the weightage. Define the effort estimate and duration to address the risk. Allocate the set of test cases/scripts to test the identified risk. 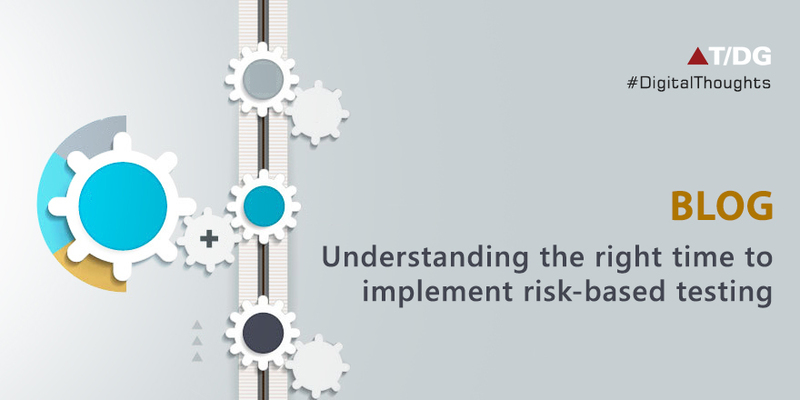 Identify the resources needed to address the risk. To achieve better handle on defect finding coverage within RBT approach, you may want to follow a few guidelines while handling the different testing options on the project. Static Testing – this is to double check by inspecting areas which are identified and considered as a high risk. Review Test Artefacts – the relevant test stakeholders need to review the test plan, test cases and a test estimate document to ensure the correctness. Re-testing – this is cross check if the failed scenarios work properly when a new build is in place. Different testing types viz, System, Regression testing results would yield the outcomes that enables to supply relevant information to required folks. Exit criteria – this is a test completion criteria when met, the testing team can consider the testing for a specific risk item on the prioritized list as accomplished. Tester is to provide the information which in turn enables the management to take an accurate decision, Go-No-Go. Testers do not create software nor do they create defect therein. Testers just judge the risks of the project and share their results as to which all risks have been addressed so far and which all other risks are still lingering in the application. However, in some situations, testers do play a catalyst role in suggesting the appropriate steps that help management teams to take decisions. Why Is team harmony very essential while implementing RBT on the project? As commented earlier, there is a need of high collaboration and coordination among the teams when we want to implement RBT. Inputs from all the relevant stakeholder become a goldmine. Business Analyst needs to own the RBT from requirements elicitation through to completion of detailed design and guide testing teams. Encouraging impact assessment to identify the likelihood of failure, thus addressing the testability of a requirement – metrics: the number of defect per function, the number of hours used in testing per defect found. At the end, we all as a team need to realise a few facts that - victory of RBT implementation is dependent on a number of factors like senior stakeholder buy-in; robust Risk-Based Assessment; effective testing processes and the key factor is communication to all relevant roles.